In October of 2017, Governor Herbert will be leading his second trade mission to Israel and his first to Jordan. The UIEC will be assisting with business-to-business meetings with an emphasis on the defense industry as well as alternative energy, EduTech, MedTech, and FinTech. 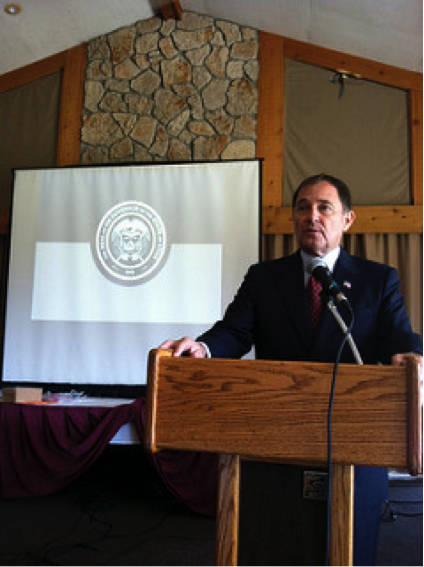 More information on the Governor’s upcoming trip can be found on our events page, or at the World Trade Center Utah’s website http://wtcutah.com/israel-jordan-2017/. On February 8th, the Governor’s Office of Economic Development’s (GOED) International Trade & Diplomacy Office, the Utah Israel Economic Council (UIEC), PTAC and other organizations held a Seminar with the Israel Minister of Defense Procurement Representatives. For more information on this event you can click here , or to learn about similar events in the future, subscribe to the Utah Israel Newsletter or become a member of the UIEC here. West Coast was happy to organize an event in Fall 2016 that brought delegates to Salt Lake City. the West Coast by organizing an event in the technology space in Spring 2016 to Utah. Start up Nation meets the Silicon Slopes of Utah. The annual meeting of the Utah Israel Economic Council (UIEC). Zions Bank Building, 18th Floor. city to grow and expand Utah based companies.